canadianfastprocess has no other items for sale. 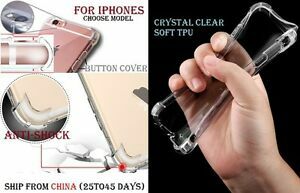 Details about Anti Shock TPU Clear Case Cover Transparent SOFT iphone 8 X XS XR 5 SE 6 7 Etui. 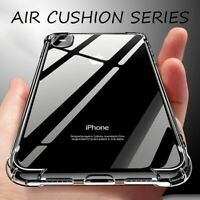 Anti Shock TPU Clear Case Cover Transparent SOFT iphone 8 X XS XR 5 SE 6 7 Etui. - Select - iphone 4 4s iphone SE 5 5S =same size iphone 6 6S 4.7" the Small iphone 6Plus 5.5" 6SPlus the B... ip 7/8 4.7" small ip 7PLUS/8PLUS 5.5" big ip X/XS (10/10S) 5.8" ip XR (10R) 6.1" ip XSMAX (10SMAX) 6.5"
Please VERIFY your PAYPAL shipping address!EXTRA FEES apply if buyer address is invalid due to lost or return by post.If buyer chose FREE shipping WITHOUT tracking # we are NOT responsible for late, non-received or damaged items by the post company.If listing doesn't have a tracking # included in FREE shipping, ask us if you want to pay extra fees for a tracking# with 100% guaranty. After BUYER payment we consider that buyer had read these terms and conditions and agrees with it.